I am here with my inspiration post for Le Anns World 101. Instead of using just one image for this post I have used Vivian. 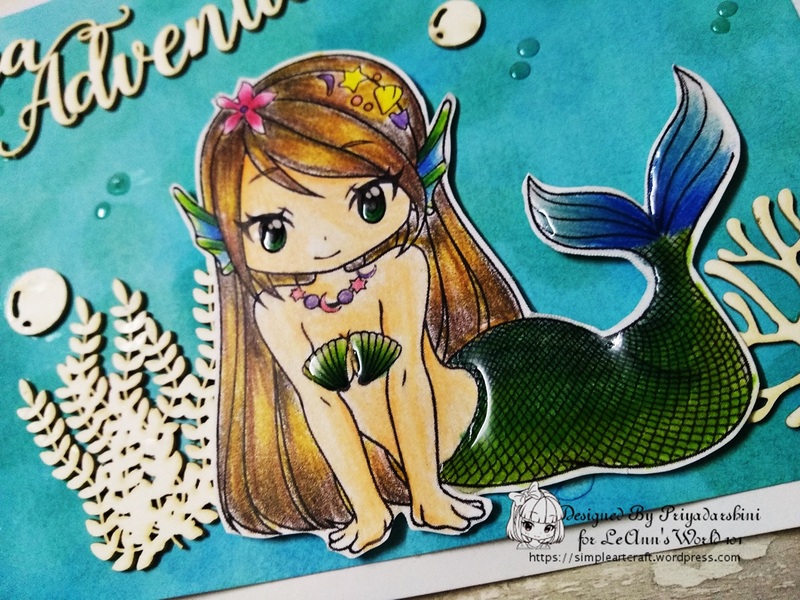 This is a super cute mermaid image (my favorite image). 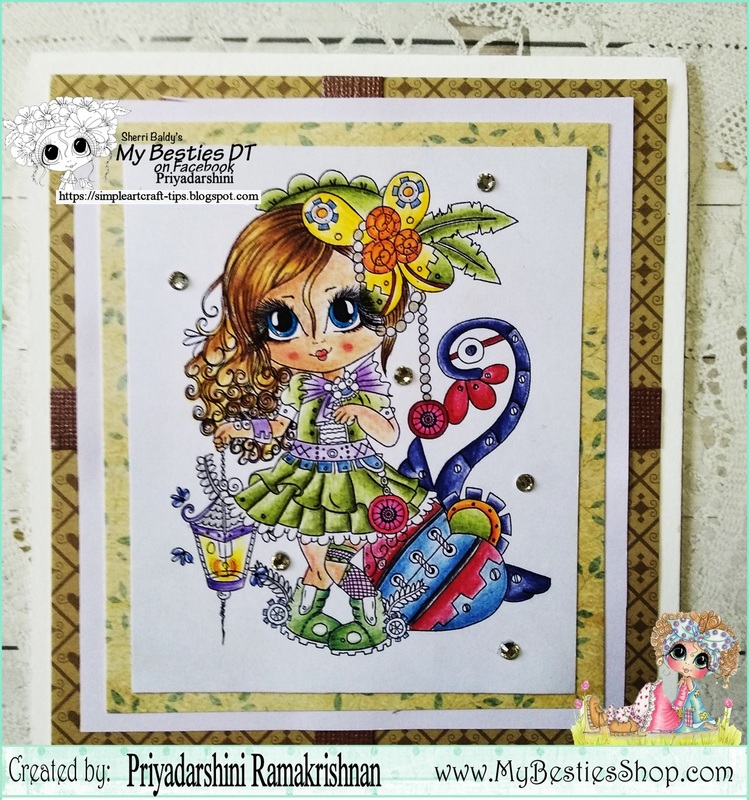 I used Craftyscrappers new premium dye ink for the background along with chippies from Mudra. 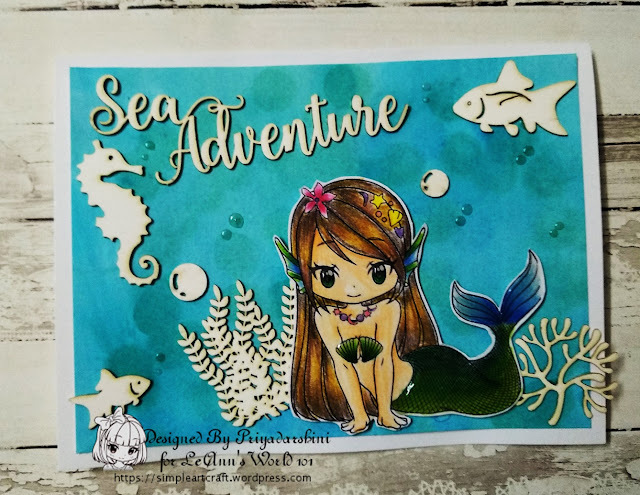 I coloured the image and and added it to the card base along with the chippies and used the sentiment Sea Adventure from the same chippies set. To finish the card, I added glossy accents to her tail and small dots like bubbles. Follow and blog for more posts. 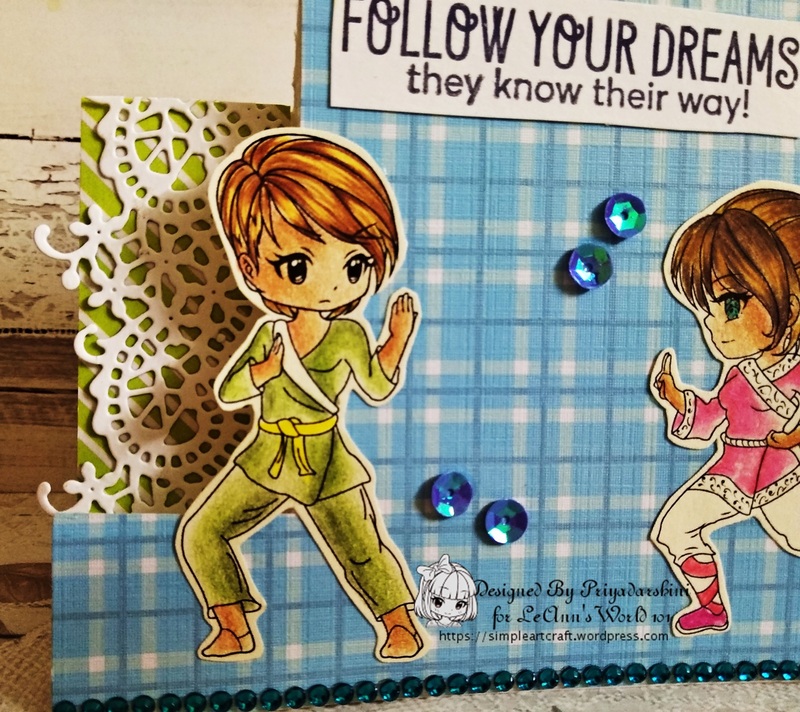 To make this card I used dies and critter sheets from Die cuts and more. 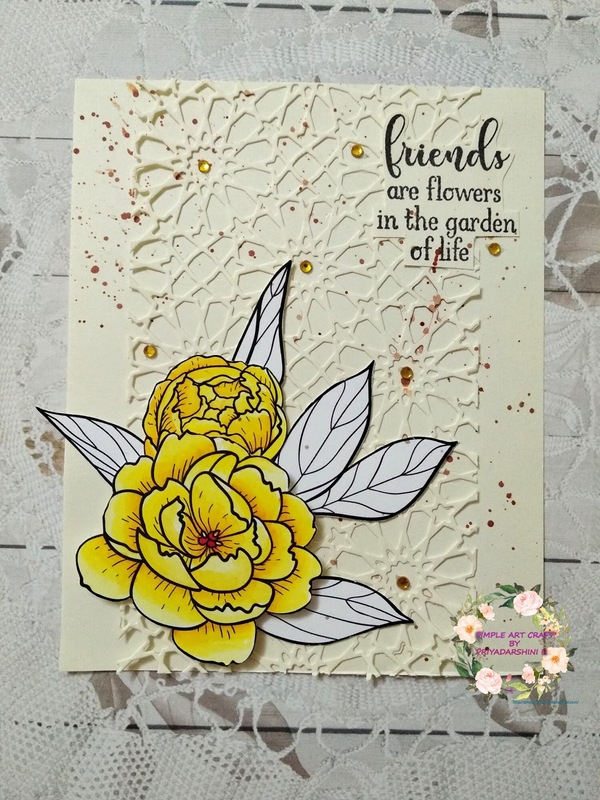 The die I used is called Moroccan tile envelope panel and critter sheet is Ready to colour Wild Roses. I used Spectrum noir markers to colour the flowers. I kept the leaves plain without colours. 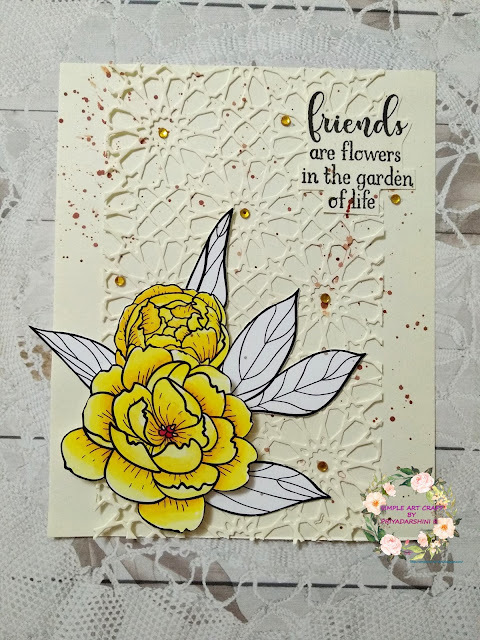 I added the die cut to the card base and then added the flowers and leaves to the card. I finished the card with a sentiment and some gem stones. 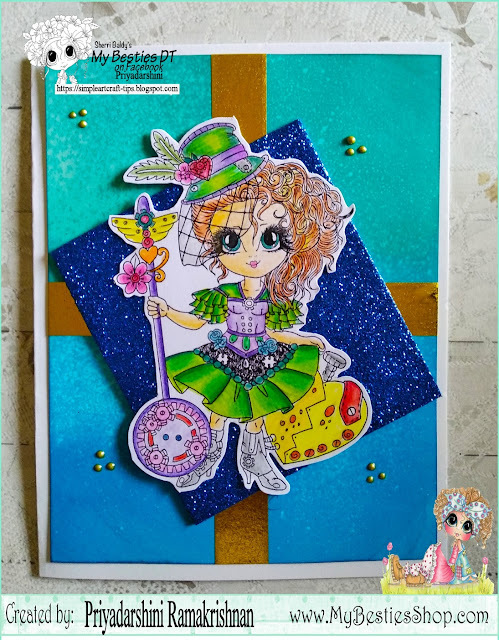 For today, I am here with a card today using an image I found recently on the net from Shimmer and Shine colouring pages for this month's challenge at The Creative Crafters. This is an adorable image and I loved colouring her and she definitely is a beauty. 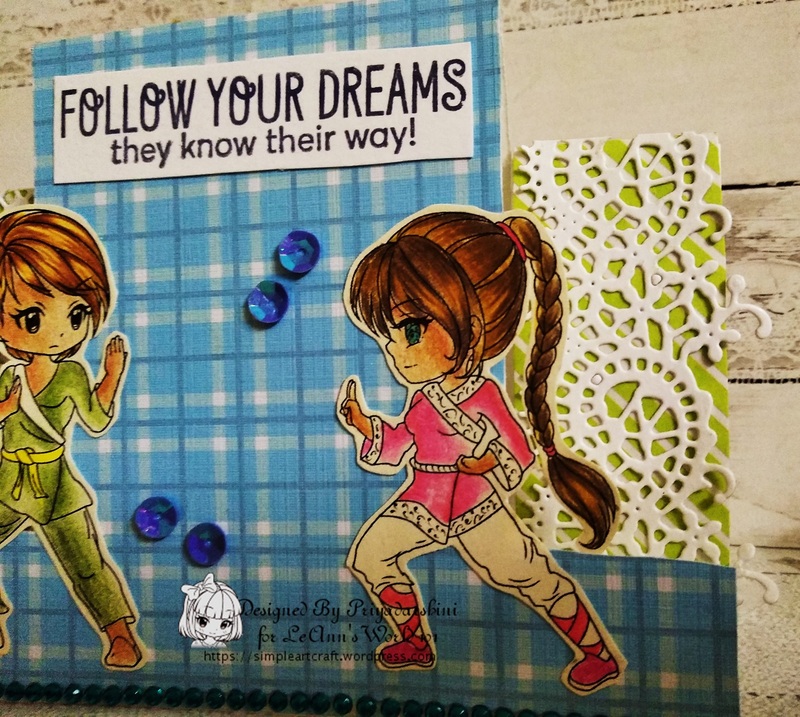 I used some die cut from pattern paper and vanilla cardstock for the background and added a sentiment to finish the card. I am happy to be back with another beautiful card using My Besties images for Scrapbook stamp society DT. For the background, I did some inking using Craftyscrappers ink pads. I am here with a card for The Paper Shelter (TPS) challenge #378. TPS is a stamp company which provides digital stamps, accessories, pattern paper and much more. We also have challenge blog where every week we have a different theme for the challenge and these are showcased by 2 teams. And for this week our challenge is "ADD SOME STARS". While entering the challenge, please remember to stick to the theme. 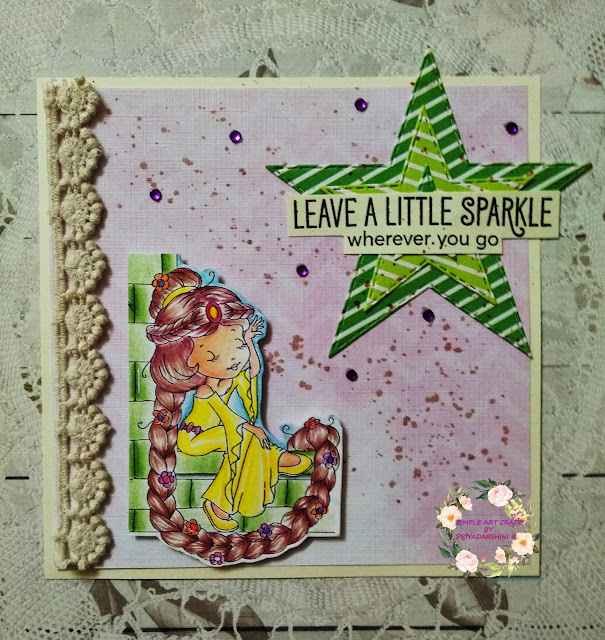 Here I have used Rapunzel image to make this card. Its a cute image to make this card. 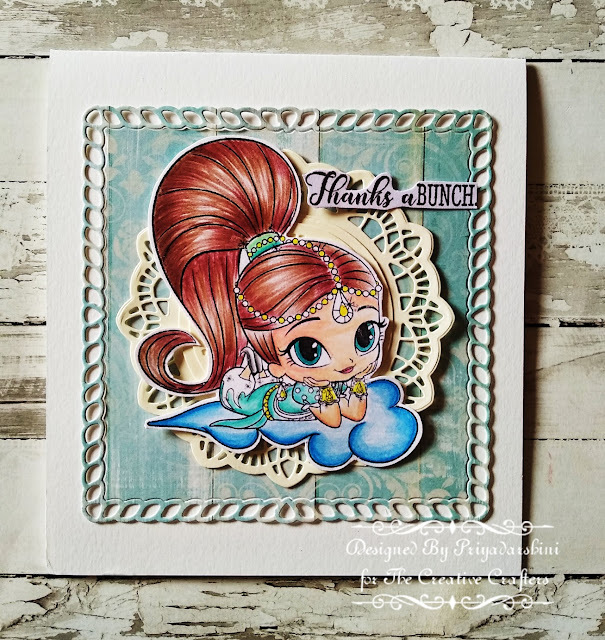 For this card, I coloured the image and then fuzzy cut the image. To make the card, I first added a pattern paper for the base and then added a lace piece on the side of the card. I die cut 3 layers of stars using green pattern paper and layered them together. I added the sentiment on the layered star. To finish the card, I added some spray distress ink and some gem stones. I hope you all liked my card. Do check out our website for more images and also participate in our weekly challenge and get a chance to win great prizes (link for both are available at the beginning of the post).